SDN pioneer Big Switch Networks has bagged another $48.5 million in funding and named a couple of industry luminaries to its board. Participants in the Series C round included Morgenthaler Ventures, Silver Lake Waterman, Triple Point Capital, Index Ventures, Khosla Ventures, Redpoint Ventures, Accton, CID Group and MSD Capital, among others. Big Switch has raised $94 million since its founding in 2010. Named to the company’s board were former NetApp CEO Dan Warmenhoven and venture capitalist Gary Morgenthaler. Warmenhoven was also a longtime IBM and HP executive, and former chairman and CEO of Network Equipment Technologies, or N.E.T. Warmenhoven is also on the board of Palo Alto Networks. Morgenthaler is a partner at Morgenthaler Ventures. He was an early investor and board member of Siri, Inc., which was acquired by Apple in 2010. Moregnthaler was also a co-founder and past CEO of Illustra Information Technologies, which was acquired by Informix in 1996; a director of BlueArc, acquired by Hitachi Data Systems; Catena Networks, acquired by Ciena; and he led the firm’s investments in Force10 Networks, which was acquired by Dell. From 1980 until 1989, Morgenthaler co-founded and served as CEO and chairman of relational database company INGRES. Big Switch will use the new financing to drive adoption of its Big Monitoring Fabric and Big Cloud Fabric products into verticals including technology, financial services, government, service providers, and higher education. It will also be used to scale the company and expand geographically, as well as expand its reach in data center networking. 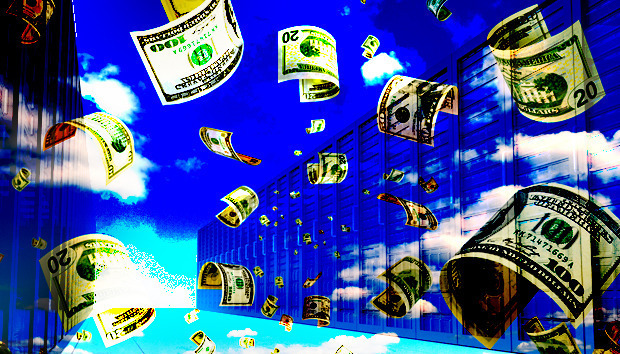 Citing data from IHS Research, Big Switch says data center networking will reach $13 billion in 2019, up from $781 million in 2014.